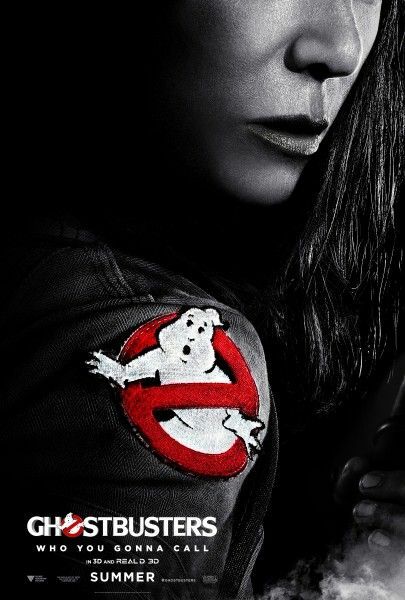 An official image for Paul Feig‘s Ghostbusters dropped yesterday, and now we have some new character posters that spotlight each of the team members. I actually think these are kind of perfect, and they really highlight the individuality of each cast member while simultaneously making everyone look badass. As was clear in yesterday’s photo debut, these are women you do not want to mess with, and they certainly look like a formidable team in these character posters. Kristen Wiig plays Erin Gilbert, a particle physicist, academic firebrand, spectral warrior. 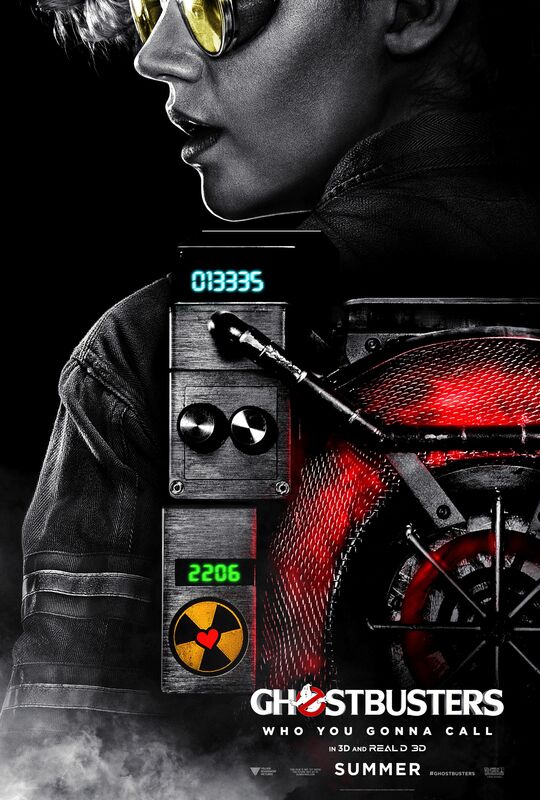 Kate McKinnon is Jillian Holtzmann, a nuclear engineer, munitions expert, and proton wrangler. 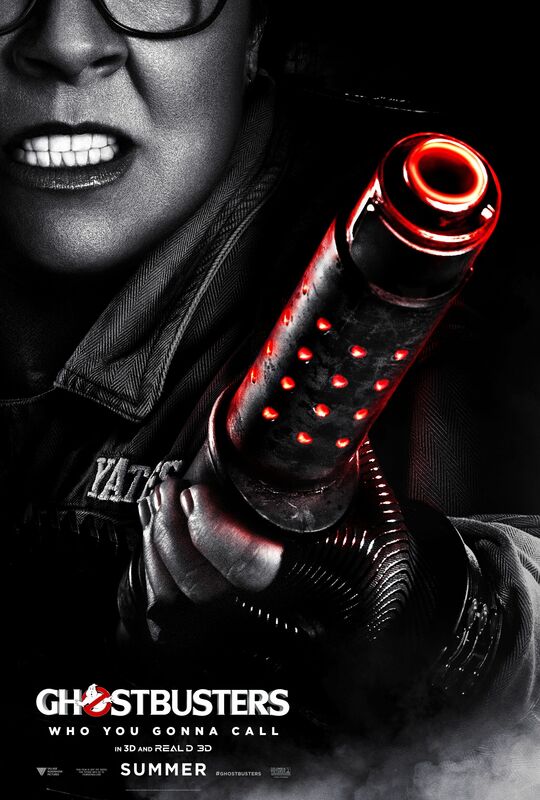 Melissa McCarthy is Abby Yates, a paranormal researcher, supernatural scientist, and entity trapper. So we don’t get too much of a revelation in terms of character, but this is certainly more than we knew previously about this new quartet. Already McKinnon’s Jillian Holtzmann is looking like particularly fantastic, and I really like the specific use of color in these one-sheets. 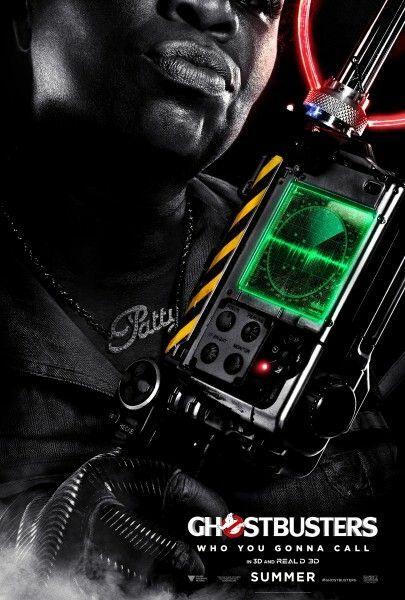 Feig definitely has experience with action sequences in films like The Heat and Spy, but it’s clear that Ghostbusters is a different beast entirely, with these posters taking on maybe a more serious tone than some folks were expecting. But with this many talented comedians in one cast, you can bet there will still be laughs galore. With marketing seemingly ramping up for the picture, hopefully a debut trailer isn’t too far away. Also starring Chris Hemsworth, Andy Garcia, Michael Kenneth Williams, Matt Walsh, and Cecily Strong, Ghostbusters opens in theaters on July 15, 2016. Check out the new Ghostbusters character posters below.